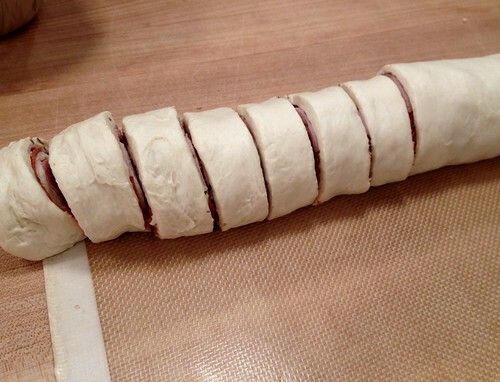 One of the most popular recipes here on my blog — and one of Dave and my personal favorites — is my recipe for Stromboli. It’s such a simple meal to make, with simple (customizable) ingredients… and it’s SO delicious. I mean, what’s not to love about crusty bread dough wrapped around all your favorite pizza toppings and smothered in savory herbs and spices? 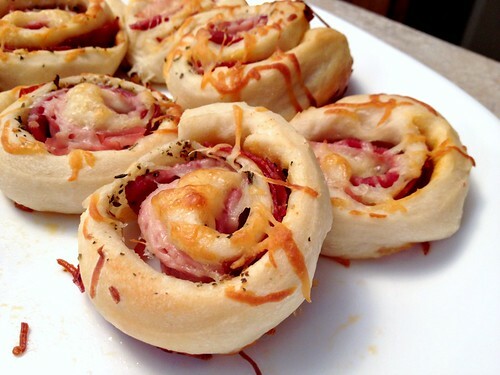 Well, a few weeks ago my sister introduced me to the idea of “Stromboli Bites” — or basically a bite-size way to enjoy this delicious meal (or appetizer, or snack). They were supper yummy and super easy, so I thought it would be a perfect compliment to my already popular Stromboli recipe. 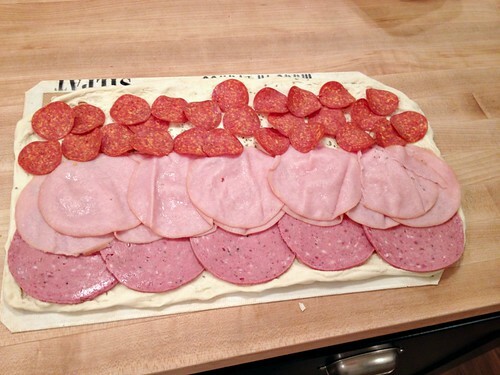 enough of your favorite pizza meats to fill the center of your dough I use deli ham, ground sausage, pepperoni, salami, etc. Roll out bread dough on your counter, a cutting board, or a non-stick mat. These little bites could easily make a full meal if paired with a salad and some fresh veggies — but they would also be the perfect game-day snack, party-pleasing appetizer, or after-school treat. 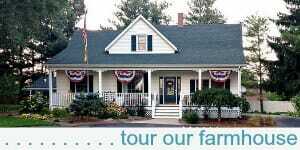 And as always, feel free to customize any of the spices, seasonings, and other toppings to fit your taste buds. You really can’t mess these up! 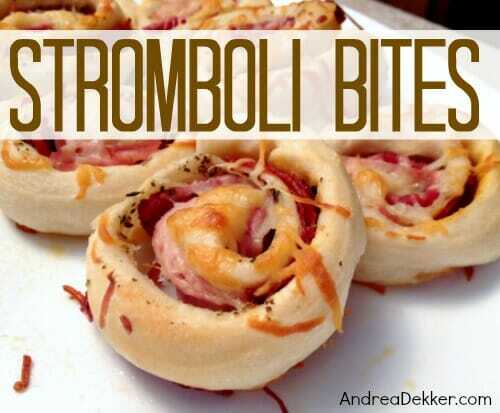 How would you serve your Stromboli Bites? Fool-Proof Hard 'Boiled' Eggs... in the Oven! Your Stromboli recipe is favorite meal for my family (picky little eaters included!). I’m going to take a big risk and attempt these bites version for a family holiday party. I’ve got a bag of the frozen meijer bread dough you’ve mentioned using and I’m wondering how you prep it for this. I’m thinking I don’t want it to rise before I roll it out, would you thaw it in the fridge? Any tips for getting a quick thaw without rising the dough? We’re really looking forward to trying these! Sorry I didn’t respond yesterday. I would just defrost the dough in the refrigerator the night before (covered in plastic wrap sprayed with non-stick spray). 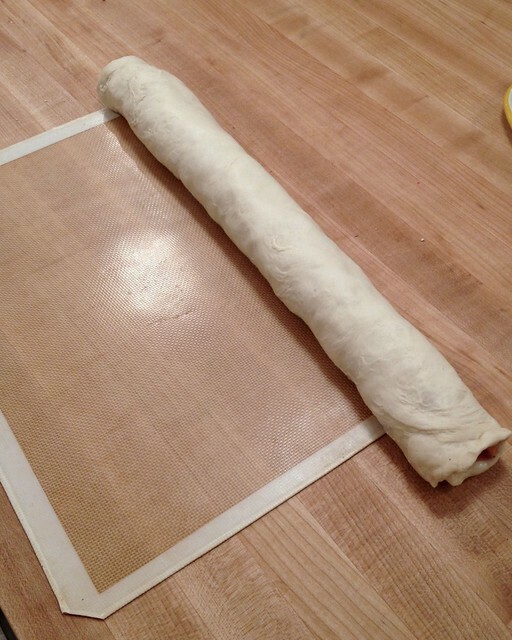 Then roll the defrosted (but unrisen) dough out and make the stromboli. 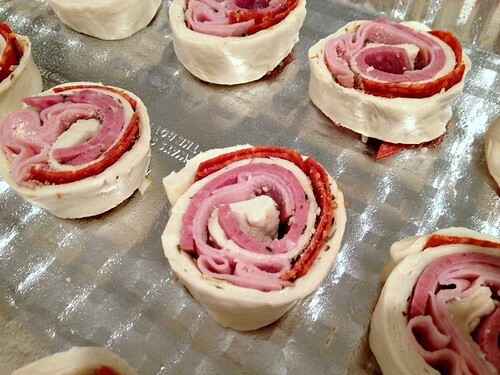 This is exactly the same way I make regular stromboli too. Once you have the “bites” cut and laid out in the pan, then you can let them rise — then bake. Does that help? I have made your stromboli and frozen it (after baking). Then we bake it again when we are ready to eat it, and it has turned out great. 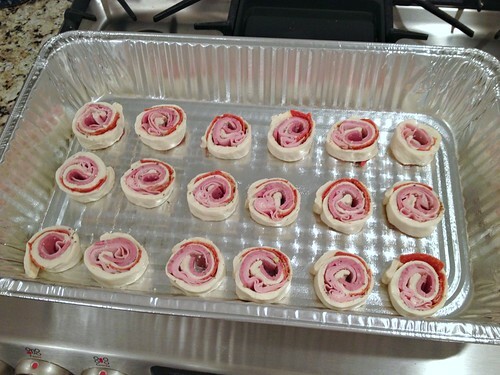 I just made the stromboli bites tonight (I had stromboli on the menu plan already, then I saw this post, so I easily changed it). I use Money Saving Mom’s super fast and simple homemade pizza recipe for my dough. 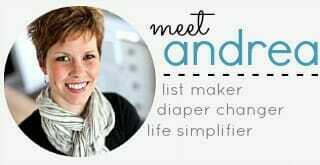 After eating the bites tonight, which were delicious and even better than the stromboli, in my opinion, I was thinking how well they would work as a freezer cooking option, and am planning to add it to my freezer cooking plan next month! I will bake them, then flash freeze them on the pan, then put them in a baggie. To eat, they will be baked in the oven, and I am sure they will be nice and crispy again, because the stromboli always has been, as have calzones that I have made on freezer cooking day. 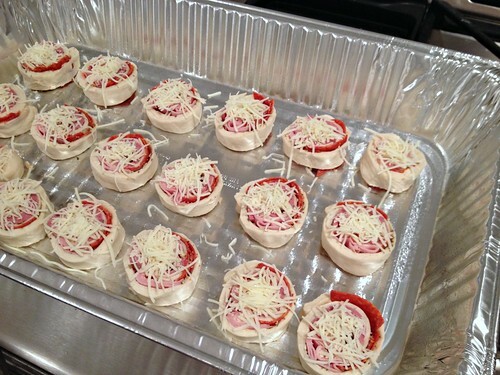 I probably won’t put the mozzarella cheese on them until eating day, though, when I bake them the second time. Perfect timing! 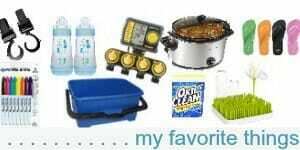 I’ve been searching for ways to make my husband’s lunch more interesting and tasty! This recipe looks great. I would like to make them ahead of time and freeze them. Would you suggest that? Honestly, although I freeze almost everything, I’m not a big fan of using frozen dough to then make something else and freeze it — I’m not sure if you’re thinking about making the bites and freezing them before or after baking. In my opinion, the only way it would save you any amount of time would be if you froze them AFTER baking — but then they most likely wouldn’t be nice and crispy when you reheated them. You could always give it a try though. I think I’ll have to put this on the menu next week! I can’t wait to try this recipe. 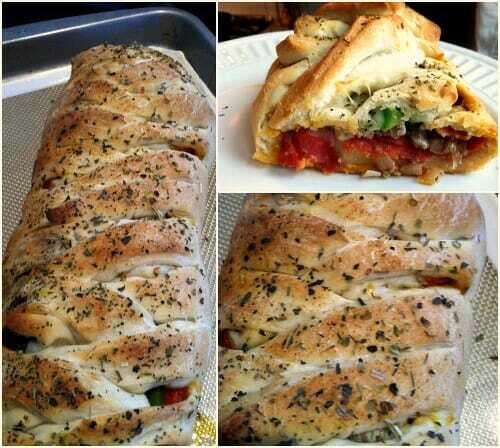 My family loves your stromboli recipe, and this recipe looks so fun! I think this might be a fun left-over to send in a school lunch.